Located just off the crossroads of Highway 29 and Highway 45, and less than 5 miles from Nueske’s, this hotel has a lot to offer. 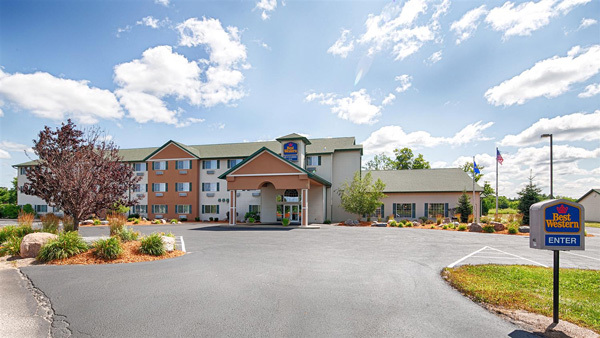 This hotel is conveniently close to an array of attractions including fishing, hiking, biking, snow-skiing, snowmobiling, snow-shoeing, golfing, ATV trail riding, and horseback riding. BP Wilderness Crossing Travel Center is adjacent to the hotel, with truck parking available 24 hours a day. It is minutes away from Ho-Chunk Gaming Wittenberg, and you can receive a $10 Rewards Play Voucher when you stay here (inquire at the registration desk). Pets allowed based on the availability of pet friendly rooms. 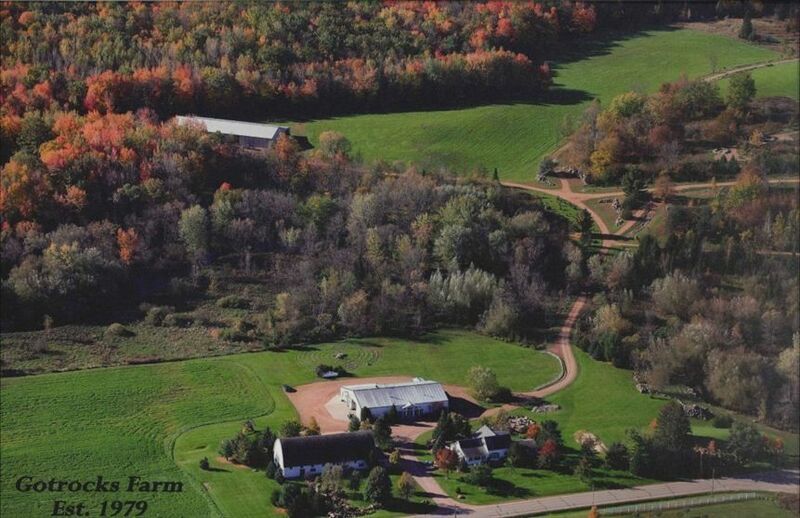 Property is nestled on over 700 serene acres of beautiful woodlands with miles of trails, rocks, fields, beautiful gardens, labyrinth, prairie, gazebo, wildlife, outdoor firepits, private lake and rolling river. In the heart of Central Wisconsin, just 25 minutes east of Wausau, 2 hours north of Madison, 3 hours north of Milwaukee, and 5 hours north of Chicago. This Machine Shed has 4 large private bedrooms each with its own bathroom, TV and sitting area. The Great Room decorated will beautiful furnishings is a great place for relaxing with multiple inviting/cozy sitting areas, fully equipped kitchen, large dining table, laundry room with washer & dryer, fireplace, pool table, piano, flat screen TV with satellite, DVD player and gaming system. Surrounded by beautiful gardens there are several outdoor fire pits, a patio with gas grill for dining and a great place for relaxing. Relax and unwind as you enjoy these beautiful surroundings. Ho-Chunk Gaming Wittenberg Hotel offers 77 rooms and 9 suites all with luxurious amenities and features. They have spacious rooms in your choice of Standard Premium Guest Rooms and Bay Suites. 24 hours a day, 7 days a week, year-round services are at your disposal when you stay here. Ho-Chunk Gaming Wittenberg Hotel offers gaming excitement and relaxing accommodations all in one place.